December 31, 2018 - 42 Comments. President Donald Trump oversaw his second full year at the helm of the U.S. government in 2018 and delivered on some major promises to his supporters while also facing political setbacks in a tumultuous political climate. Trump’s undoubted biggest accomplishment of 2018 was increasing the Republican majority within the U.S. Senate. The president undertook a grueling travel schedule during the 2018 midterm elections, at one point traveling to three different states per day and holding his signature rallies. Trump demonstrated his remaining ability to draw massive crowds of supporters who turned out to support his chosen candidates on election day. Trump will now hold a 52-47 margin in the Senate, which will ease his ability to confirm judges to federal courts and gain approval for many of his nominees awaiting to fill cabinet vacancies. An increased margin in the Senate will also help temper any legislative efforts passed by the new Democratic majority in the House of Representatives. The majority in the Senate similarly gives Trump the ability to better stave off any effort by House Democrats to impeach him. Regardless of whether Trump wins re-election in 2020, his legacy on the federal bench will be felt for many years to come. Trump’s presidency will especially be felt on the Supreme Court with the appointment of Justice Brett Kavanaugh to replace retiring Justice Anthony Kennedy. Trump could have easily abandoned Kavanaugh when decades old sexual assault allegations were made against the judge by Dr. Christine Blasey Ford, but Trump chose to stick by his candidate and urge Senate Republicans to support him. 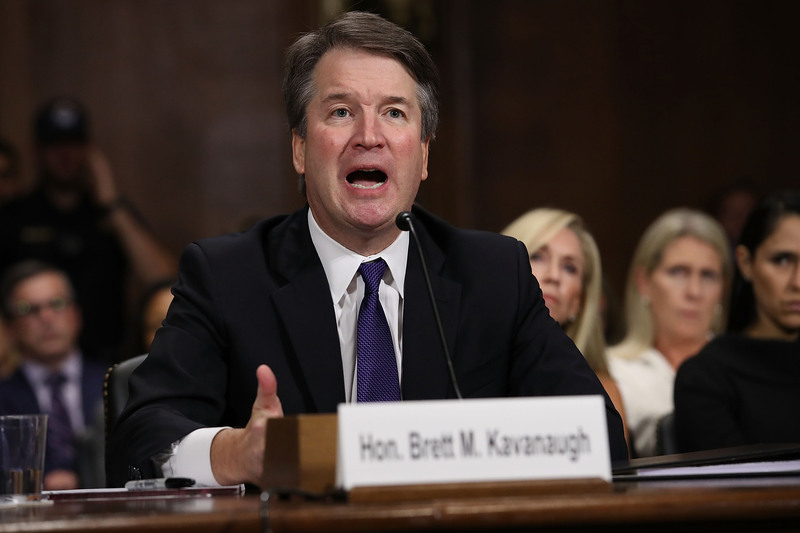 Ultimately, Kavanaugh was confirmed by a razor thin margin in the Senate and will bolster a conservative majority on the Supreme Court for decades to come. By Congress’s count, they have confirmed 85 judges to the federal bench since Trump assumed office with dozens in 2018 alone. The number will only continue to increase under the Republican controlled Congress of 2019 and 2020. Trump often boasts that the only president who has appointed more judges than him is George Washington, and that is only because Washington had to literally fill 100 percent of the federal bench. 2018 saw the extraordinary summit between Trump and North Korean leader Kim Jong Un. 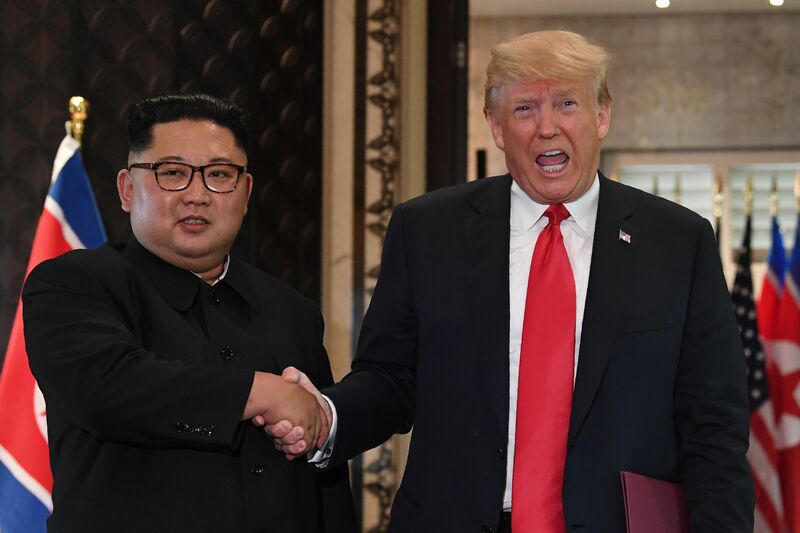 The results of the summit aimed at denuclearizing the Korean peninsula remain unclear, but the mere fact that it happened at all is a massive change in U.S. policy. Trump spent much of 2017 deriding Kim Jong Un as “little rocket man” while the U.S. and North Korea traded insults. North Korea lobbed several test missiles of extensive range over Japan and into the nearby ocean in an attempt to prove it’s capable of hitting U.S. soil. Trump remains optimistic about another summit with Kim Jong Un in the near future, and Secretary of State Mike Pompeo has met with Kim Jong Un on several occasions since. Trump also fulfilled a long-held campaign promise of withdrawing from the Iranian nuclear agreement in May 2018. The president fully reversed the policy of his predecessor and warned Iran that it would face major consequences if it chose to enrich nuclear material. Trump also re-imposed heavy sanctions on the regime, effectively tanking its economy. Trump realized his decades-old dream of imposing tariffs on rival nations in 2018, particularly ramping up a trade war with the Chinese government. Trump has railed against Chinese trade practices for decades and brought the two countries to the near brink of tariffing nearly all imports before striking a temporary cease-fire which will continue into 2019. Trump also levied tariffs on steel imports with some exceptions for allied nations. 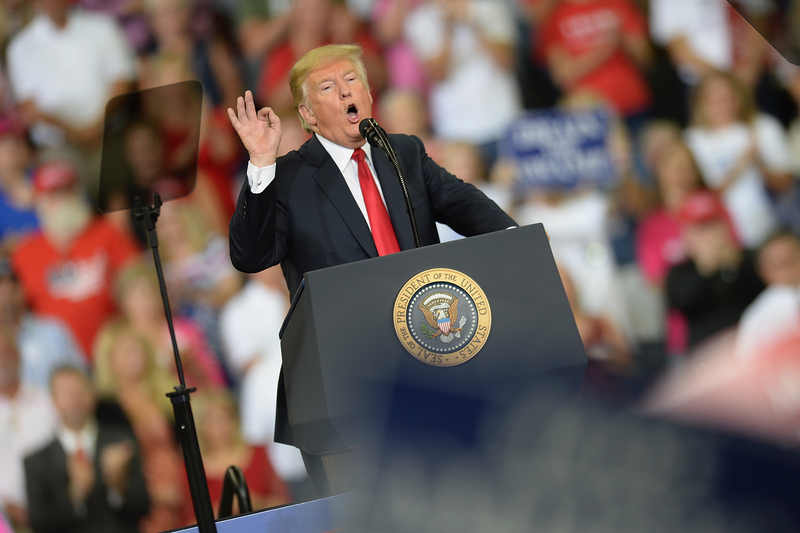 The president kept up his harsh rhetoric on trade towards any perceived competitor and struck new agreements with the European Union. 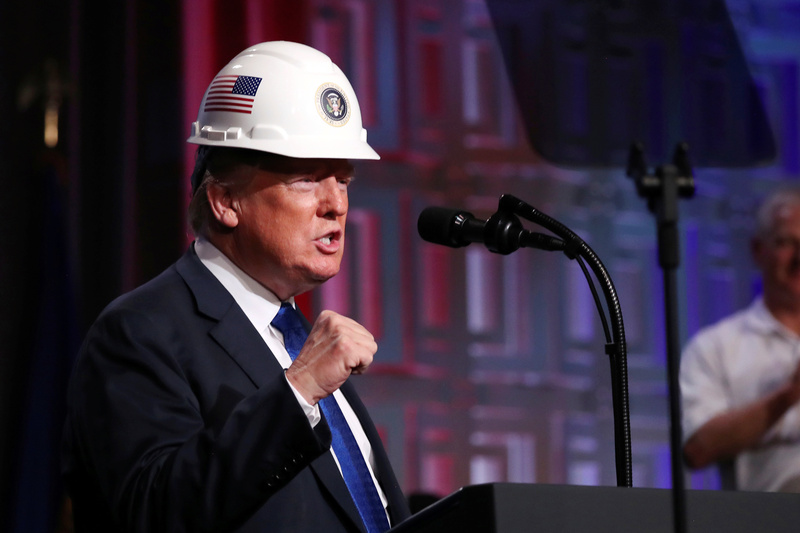 Tariffs were said by many experts to be a reckless and ineffective maneuver that would tank the U.S. economy, but incredible progress has remained largely steady. The stock market saw wild fluctuations in December 2018 after the federal reserve announced it would raise interest rates, but other fundamentals like the unemployment rate and wage growth remained at unprecedented levels in 2018. Trump fulfilled one of his signature campaign promises to re-negotiate the North American Free Trade Agreement (NAFTA) in 2018, marking the end of nearly two years of high-stakes negotiations. The new agreement increases protections for U.S. workers and increases mandates for products that must be built in the U.S.
Trump insisted on changing the name from NAFTA to USMCA and has even encouraged supporters at his rallies to sing the name in their heads to the tune of YMCA. The president often talks about the USMCA as one of his crowning achievements in 2018 and as evidence that he is delivering on his core promises to protect U.S. workers from international competition. The deal is not completely set it stone, however, and must be approved by Congress in 2019. Trump received an early Christmas present before the departure of the U.S. Senate in December 2018 with the passage of the First Step Act. The criminal justice reform bill delivers the most sweeping changes to the federal penal system in decades and is aimed at reducing overall incarceration. The bill saw some opponents among more conservative members of Congress but garnered rare bipartisan support. Criminal justice reform was a signature issue for several previous presidents, and Trump’s ability to pass the legislation through Congress is a significant victory for his administration. The Senate may be Trump’s biggest win of 2018, but conversely the loss of Republican control within the House of Representatives will remain a major thorn in his side throughout 2019 and 2020. Republicans lost nearly 40 seats in the 2018 midterm elections, significantly changing the incoming political landscape in Washington. Democrats seem particularly intent on using the House’s ability to subpoena executive branch records in order to investigate the White House. Trump has coined this practice “presidential harassment” and has warned lawmakers that they can either investigate him and face retribution or they can attempt to forge deals with him to pass legislation. The loss of the House will dramatically change the White House’s operating dynamics and be a major challenge for Trump heading into reelection in 2020. Two years into the Trump presidency he still has not delivered on his signature campaign promise of a wall along the U.S. southern border. 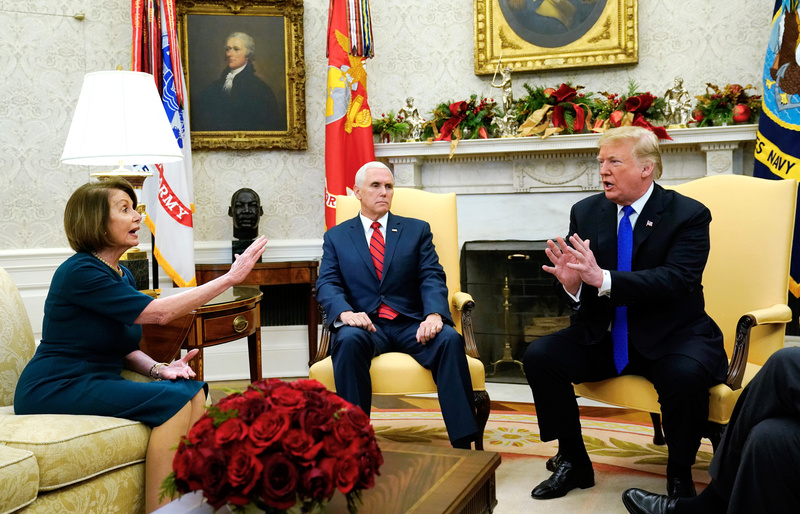 Trump frustratedly attempted to explain away his failure with the minutiae of Senate procedure, but his most ardent supporters point out that he did prompt major showdowns and fights with Democratic lawmakers over the issue until December 2018. 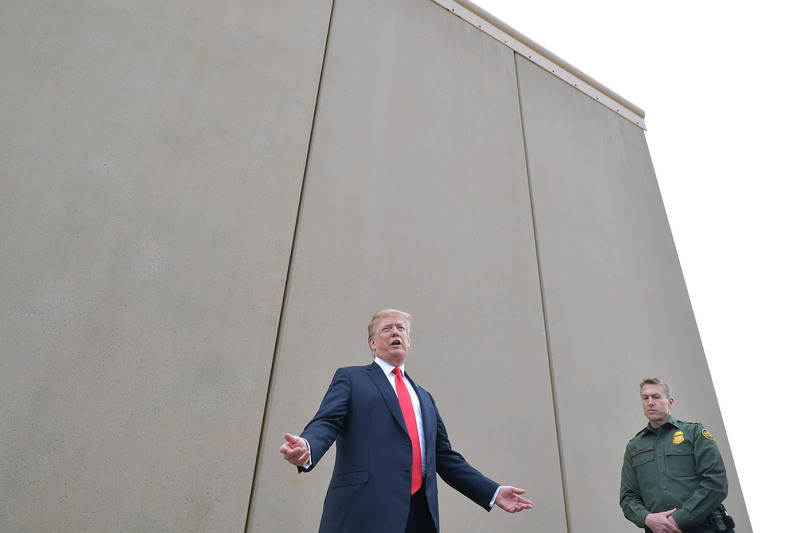 Trump almost certainly will not get any significant funding for his proposed wall with a Democratic House of Representatives, marking the current partial government shutdown his last chance to deliver a barrier in some form. The president also did not pass any legislation in 2018 restricting legal immigration in exchange for a pathway to citizenship for illegal immigrants brought to the U.S. as children. Early in 2018 the administration sought to use its leverage of control over the DACA program as an effort to secure border wall funding, an end to chain migration, and an end to the diversity visa lottery program. The deal floundered after a federal judge ruled that the administration could not end the DACA program and the situation remains in flux as the decision makes its way through the Supreme Court. Regardless of how the court rules, however, incoming House Speaker Nancy Pelosi has said she will not entertain a deal that legalizes DACA recipients in exchange for funding the border wall. Trump continued to be embroiled in 2018 amidst a series of legal headaches surrounding the 2016 presidential election. These headaches range from special counsel Robert Mueller’s nearly two-year investigation and his personal attorney’s claim to the U.S. Attorney for the Southern District of New York that he violated campaign finance law at Trump’s behest in 2016. Neither the SDNY or the Mueller investigation at this time appear to pose any serious legal jeopardy to the president, but they represent persistent headaches he must grapple with while trying to run the nation. Trump has often said what most frustrates him is having to watch minute coverage of Mueller and Cohen developments at the expense of what he’s actually doing in the White House. The president has animatedly fired back at Mueller and Cohen, but both legal matters are likely to continue into 2019 and perhaps even 2020.